Guest show #028 selected and mixed by the excellent Salvatore Logicfussion, a seasoned selector based in beautiful Greece and the man behind www.deepinradio.com one of the finest deep web radio stations out there! 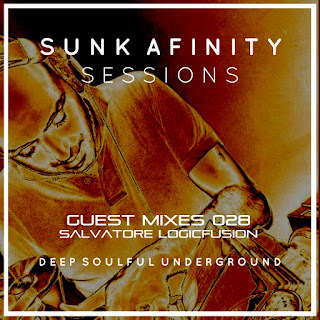 The Sunk Afinity Sessions can also be found broadcasting exclusively on deepinradio.com every Tuesday 10pm CET. Enjoy the show and thanks as always for listening.